If the current value of your house is less than what you owe on your mortgage, a short sale might be your best option. This alternative to foreclosure allows you to sell your property for an amount less than the full pay off balance of your mortgage loan. 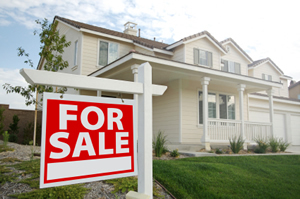 While there are negative credit implications, a short sale is far better than a foreclosure. HUD is an abbreviation for the U.S. Department of Housing and Urban Development, the government agency whose mission is "to increase homeownership, support community development and increase access to affordable housing free from discrimination..." Heritage Real Estate Services, LLC is a HUD Registered Broker which allows our clients special access to HUD properties. REO is an acronym for Real Estate Owned which basically means the bank or lender took possession of the property after it had been foreclosed upon. We maintain relationships with an extensive network of REO agencies which provide our clients consistent access to quality properties, often at discounted prices. Time Sensitive Transaction refers to any situation in which the property owner needs to sell his/her property as quickly as possible for the maximum amount of money...in other words, the owner is a motivated seller. Job relocation, divorce, death of a spouse, and injury/illness are just a few of the potential reasons that someone would need to sell a property quickly. We have the experience and expertise required to handle these types of transactions efficiently and discreetly while maximizing the sale price for the seller.